At Chamings Racing we’re committed to protecting and respecting your privacy. 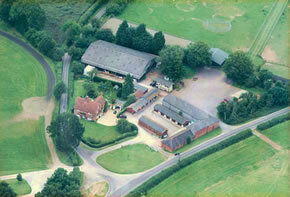 We’re Chamings Racing, Inhurst Farm Stables, Inhurst Lane, Baughurst, Tadley, Hampshire, RG26 5JS. or by writing to Patrick Chamings, Inhurst Farm Stables, Inhurst Lane, Baughurst, Tadley, Hampshire, RG26 5JS. Alternatively, you can telephone +44 (0)1189 814494. Any use by you of this site is subject to your acceptance of the terms and conditions set out in this legal notice. Please also see our privacy statement above. If you do not accept these terms and conditions please leave this site now. This site is made available by Chamings Racing - referred to in this notice as "we" or "us". 1. Rights - all rights in the material at this site are owned by us. 2. Trade marks are registered in many jurisdictions across the world. Save as provided in these terms and conditions any use or reproduction of these trade marks is prohibited. 3. Copying - you may view this site and you are welcome to print hard copies of material on it for your personal, non-commercial use. All other copying whether in electronic, hard copy or other format is prohibited and all other rights reserved. 4. NO WARRANTIES - THIS SITE IS PROVIDED "AS IS" AND WE GIVE NO WARRANTIES THAT YOU WILL BE ABLE TO USE THIS SITE OR THAT IT WILL CONTINUE TO BE MADE AVAILABLE IN ITS CURRENT OR ANY OTHER FORM OR THAT ANY MATERIAL OR INFORMATION CONTAINED ON IT WILL BE ACCURATE OR COMPLETE. ANY WARRANTIES WHICH WOULD OTHERWISE BE IMPLIED BY LAW INCLUDING WARRANTIES AS TO SATISFACTORY QUALITY, FITNESS FOR PURPOSE OR SKILL AND CARE ARE HEREBY EXCLUDED TO THE FULLEST EXTENT PERMITTED BY LAW. 5. Your responsibility - we have exercised reasonable care in compiling the information provided at this site but you should always verify the information with independent authorities before acting on it. It is your responsibility to use virus checking software on any material downloaded from this site and to ensure the compatibility of such software with your equipment. 6. NO LIABILITY - TO THE FULLEST EXTENT PERMITTED BY LAW WE (AND ALL OF OUR SISTER, PARENT AND SUBSIDIARY COMPANIES) HEREBY EXCLUDE ALL LIABILITY FOR ANY LOSS OR DAMAGE (INCLUDING BUT NOT LIMITED TO DIRECT, INDIRECT, ECONOMIC OR CONSEQUENTIAL LOSS OR DAMAGE) SUFFERED BY YOU AS A RESULT OF YOUR USE OF THE SITE OR OF ANY MATERIALS PROVIDED ON IT OR DOWNLOADED FROM IT OR YOUR INABILITY TO USE THIS SITE OR ANY ERROR IN THE PROVISION OF THIS SITE OR ANY COMPUTER VIRUS TRANSMITTED THROUGH THIS SITE WHETHER SUCH LOSS OR DAMAGE ARISES FROM OUR NEGLIGENCE OR OTHERWISE AND EVEN IF WE ARE EXPRESSLY INFORMED OF THE POSSIBILITY OF SUCH LOSS OR DAMAGE. 7. Materials submitted by you - you agree that any materials posted by you or otherwise submitted to the site, whether ideas, creative concepts or other materials, may be used and disclosed by us without restriction for whatever purpose we deem fit and without payment of any sum or acknowledgement of you as their source. WE SHALL HAVE NO LIABILITY FOR ANY LOSS OR DAMAGE SUFFERED BY YOU AS A RESULT OF USE OR DISCLOSURE OF SUCH MATERIALS BY US. This paragraph 7 does not affect any rights you may have under data protection or similar laws, to the extent that such rights cannot be excluded. In this connection please see our privacy statement, below. 8. Links to other sites - sites to which you link through this site are independent of this site and we have no control over them and accept no liability in respect of your use or inability to use them. 9. Other legal notices - there are other legal notices on areas of this site which relate to your use of such areas. 10. Changes to this legal notice - we may amend this legal notice from time to time. 11. Law and Jurisdiction - these terms and conditions and any matter relating to this site shall be governed by English law and the English courts shall have non-exclusive jurisdiction in respect of them. © Chamings Racing 2018.